A simple technique to make your own stamps. 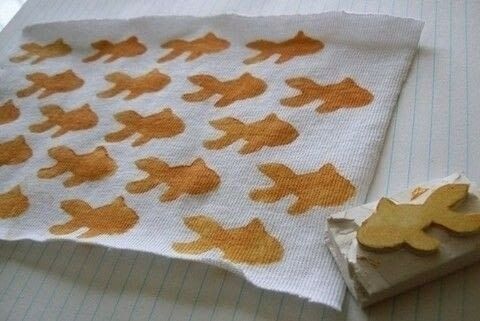 I wanted to do some fabric stamping, to create a pattern with a goldfish, and, well, necessity is the mother of invention. 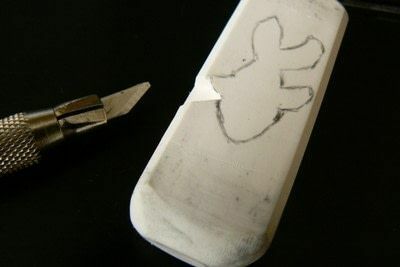 This is a very simple technique to create effective stamps for all uses. 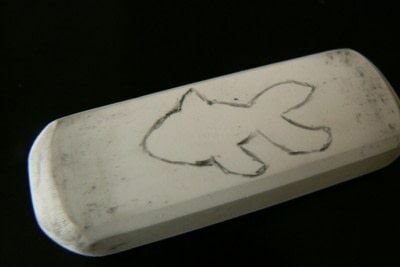 Draw your desired image onto the eraser. Use the knife to cut the outline of your design into the eraser (vertically), and then cut into the eraser horizontally, cutting away the edges to leave only the design. Ensure that your edges are defined and that your shape is cut out properly. 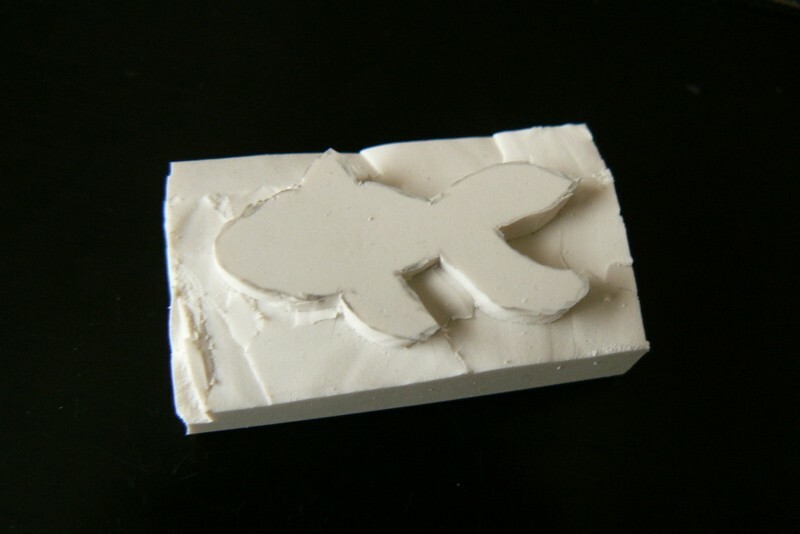 Use your new stamp to create your own designs.